In a simple yet elegant four minute video, one German photographer has captured a feeling that many mums will never forget but have trouble expressing. Come and watch Tammy Nicole’s beautiful Walks of Motherhood, which honours World Breastfeeding Week 2015 and pays tribute to one of the most natural aspects of motherhood. Tammy Nicole, a photographer based in Munich, Germany, wanted to use her talents with a camera to honour something that is “very special” – the act of a mother breastfeeding her child. Like many of us, Tammy admits that finding the words to explain just how amazing this act of feeding your baby is can be difficult. “It is one of those things in life you cannot seem to describe how it makes you feel. ” Tammy writes, on Bored Panda. So, instead of try to find these words, she choose to capture the moment in a video featuring images of mothers breastfeeding and quotes about what breastfeeding means to them. The photos featured in the video are absolutely stunning to say the least. The simple touches, the relaxed body language, the whimsical outfits and the beautiful backdrops create an atmosphere that is as close to perfection as you can get. 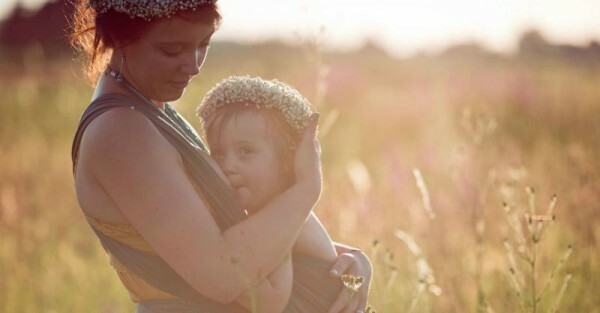 Tammy has photographed dozens of breastfeeding mothers and finds beauty and power within every photo shoot. “It is the beginning of a lifelong commitment of unconditional love,” another mum explains. Happy World Breastfeeding Week to all the parents out there. Take a moment to browse through our breastfeeding archives for more stunning photography, cute comics and laughable videos that pay tribute to the joys of breastfeeding.